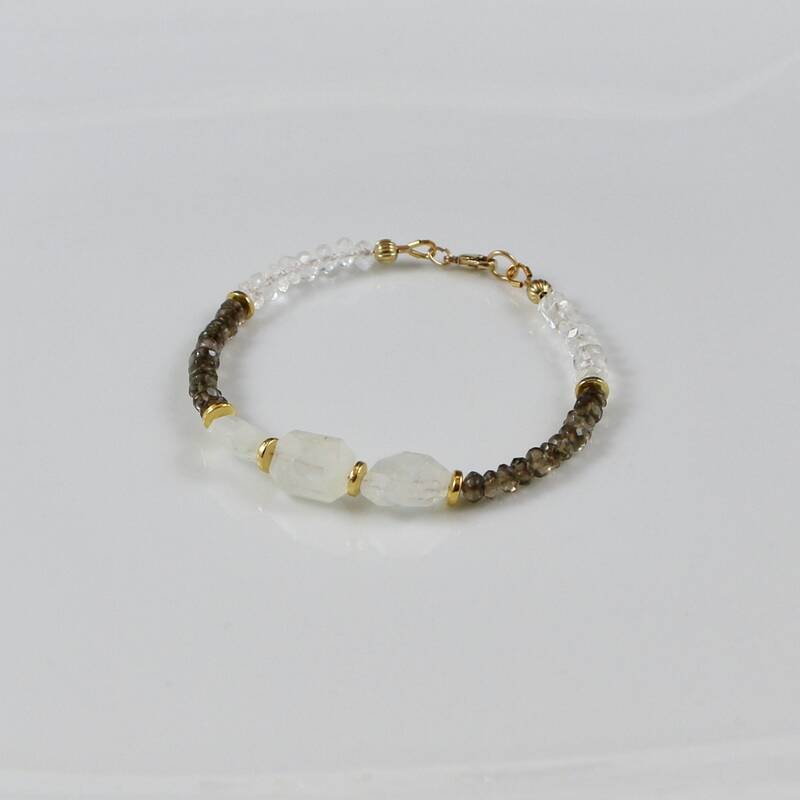 Talk about exquisite...this bracelet should be pictured beside of this word in the dictonary! Simply stunningly classic for work or dinner, but also perfect for that casual day out. 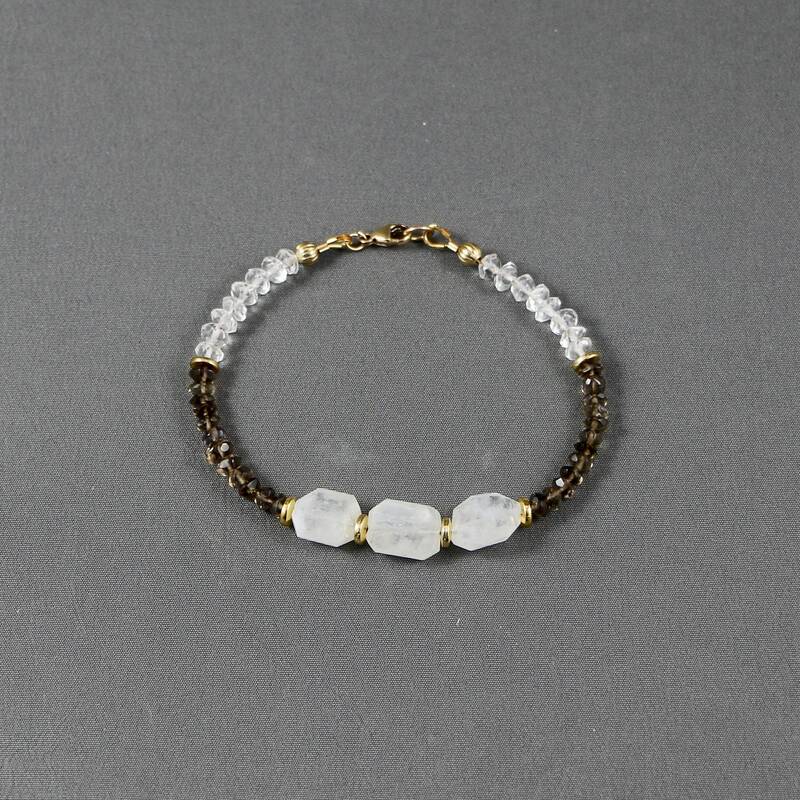 The 3 hexigonal shaped moonstone gemstones in the middle have the perfect glow in certain peaks of light and are the focal point of this beauty in the middle of faceted smokey quartz and moonstone rounds and accented with just a small touch of 14kt gold-fill seperators and clasp.